This 15000mAh Allpowers charger retails for $60, but is now selling on Amazon for a 71% discount, the lowest price drop we’ve seen. Portable phone chargers provide convenience and peace of mind, but even they need charging—usually with electricity from a wall outlet. 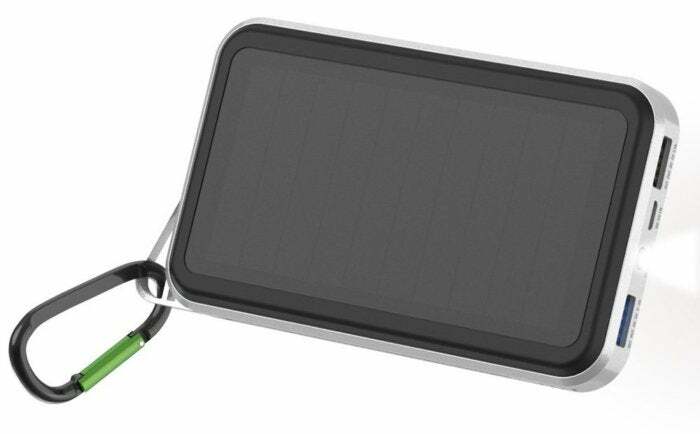 But solar charging is a thing, and right now on Amazon, the Allpowers 15000mAh Solar Charger is on sale for $17, down from a $60 MSRP, and an average sale price of $24. Clearly, the coolest thing about this portable charger is that it’s solar powered, with power conversion efficiency up to 23.5 percent, but it also has other features worth noting. It’s designed for portability, so it’s pretty small at 8 x 5.4 x 1.1 inches. And it comes with a built-in carbiner so you can attach it to a backpack. As for output, this charger comes with two USB ports and can provide several charges to most handheld devices. For example, according to Allpowers, it can provide five charges to an iPhone 6, and four charges to a Galaxy S6. What counts as an emergency is obviously pretty subjective, but when you have no other recourse, it’s nice to know that a solar charger is ready to help. That said, you will need bright sun to charge this unit at it’s optimum efficiency, and Allpowers states it could take 45 hours to charge this unit fully under direct sunlight. So, just to be safe, it’s wise to always keep it charged with standard electrical power, which should only take a few hours to reach a full charge. It comes with the carbiner you see in the photo, and has an integrated LED flashlight. For $17? Yes.